A strange new digital currency produced by anonymous researchers appears out of nowhere and the world goes crazy over it. Yes, we are talking about bitcoin! Bitcoin trading in Dubai is supposedly the new trend. Nowadays, you might be hearing many people talking about cryptocurrencies and stuff like that. Let us discover why bitcoin really matters. Cryptocurrency trading is quite common nowadays and bitcoin is the most popular amongst all the digital currencies. So why is it valuable? The obvious reason for bitcoin’s popularity is its high demand. Currencies, whether they are a digital one or paper based, have always made trading easier. Like other currencies, bitcoin also follows the demand and supply rules. People are willing to buy bitcoins, like any other currency, due to its high value. An important reason for bitcoin trading is that it can be easily used as a currency across borders. The digital transfer is flawless provided that you are using a reliable medium. Furthermore, a limit is set on the total number of bitcoins that will ever exist which makes it different from other currencies, since it is not subjected to devaluation through inflation. Apart from the wallet you keep in your pocket, you might actually need a bitcoin wallet to help you in case of financial problems. A bitcoin wallet does not really hold your bitcoins; rather all these coins are stored in the blockchain shared record. A private key is needed to sign each bitcoin transaction and this is stored in your wallet. When you open a bitcoin wallet, an address is created with its own key. This key can be then be used for bitcoin trading. Keeping your bitcoin wallet secure is a very important thing. If you have a web wallet, you need to check the address of the website. It should be HTTPS instead of HTTP. The login credentials to the website should be secure and usually comprise of alphabets and numeric for better safety. A two-factor authentication (2FA) is also crucial to prevent hacking attempts. You should also check if the wallet provides a multisig option. This can help you to steer clear away from attackers and hackers. With multisig option, you need multiple keys to approve a bitcoin transaction. Both the parties require two different keys for bitcoin trading. You need to have access to the keys for bitcoin wallet. If you don’t have that kind of access, then you can’t control your wallet. Therefore, choose your bitcoin wallet wisely. A private key will help you to move bitcoins in and out of the wallet easily. It allows more control over your bitcoins. You can also backup your wallet. 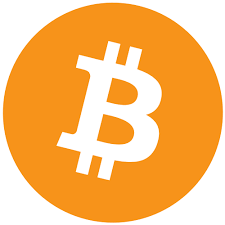 You now know the importance of bitcoin trading and the significance of bitcoin wallet. Make sure that you get them at the right time. How Can I Secure My Bitcoin Wallet?